Too many companies opt to hoover up data, sacrificing value and focus for sheer mass. Though technology has made the process of accumulating and gleaning insights from customer information easier, getting the information that’s most valuable for your sales, marketing, and service needs remains complicated. It’s all too easy to adopt a ‘quantity over quality’ approach to data – but it’s a philosophy that can be unrewarding, costly, and outright dangerous for your business. Too many companies opt to hoover up data, sacrificing value and focus for sheer mass. To know what their customers think about their business, they believe they must know everything they think. 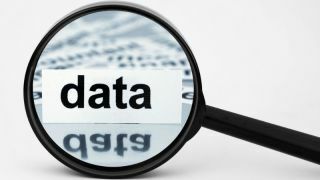 However, the more data they accumulate, the more they have to sift through it – and if they don’t need the data in the first place, they could find themselves in contravention of the Data Protection Act 1998, The European General Data Protection Regulation, or any number of other consumer protection laws that govern the way companies can and cannot use their customer’s information. It is neither viable, nor profitable, nor ethical to hold this much data: companies should focus on accumulating the right information, not just any information. In 2017, customers prefer the personal touch: they don’t want to be sent tone-deaf marketing communications that are off-base, irrelevant to their needs, and ignorant of their established preferences. They want marketing communications that make their lives a little easier – and when a business is blinded by the sheer volume of information and the red herrings and false correlations that come with big data, it’s harder to fulfil this demand. If you’re looking to make the most out of your data strategy, it’s worth asking what kind of data you should be collecting and keeping, and how you should collect and keep it. For most companies, data comes in three main flavours. First-party data is unique to your business. It’s the information that your company gathers in its day-to-day operations: initially, just names, addresses, contact information, payment details, and other items necessary to complete the transaction. Eventually, however, it becomes possible to spot patterns and weigh your marketing strategy against the data contained in the customer’s purchase history. Second-party data is complementary information that is purchased from another company. Its purpose is essentially to bridge gaps in the information you’ve already acquired. Though it can fulfil this purpose, the difficulties of integrating two data sets can be complicated and may not be worth it for your business. Third-party data is purchased ‘off the shelf’ – meaning it can be acquired by anyone – and is typically of lesser quality. The information it contains isn’t always useful, and there’s no guarantee that it will be useful to your business. That first-party data is deemed the most useful shouldn’t be a surprise: a study from Econsultancy found that two-thirds of marketers believe it to be the best way of gaining meaningful, actionable insight into customers. But this leaves one crucial question: how can your company make the most of it? The most obvious starting point is to make sure that everyone has access to the information they need – after all, it always helps when the left hand knows what the right hand is doing. If you silo your data, your teams will work independently of each other and their efforts will be misaligned at a fundamental level. If customer service doesn’t have access to information held by sales, then they won’t know how to address a problem that’s arisen from a recent transaction. If marketing doesn’t know how sales is using the leads they provide, they won’t know if their efforts are actually bearing any fruit. A first-party data strategy should begin with the agreement that everybody who requires access to certain information shall have it. Naturally, businesses don’t always know what information they need – let alone how to use it. This is part of what leads to inefficient, quantity-focused big-data strategies. So, another priority for your business’ plan should be establishing and working towards clear goals. These don’t need to be especially elaborate or intricate: in fact, they can be as simple as ‘We want to upsell product X to client Y’ or, ‘We want to make £X pounds from our seasonal sale’. When you’ve figured out your goal, it’s easy to work out what information you need – purchase history, buying patterns, historical reluctance (and willingness) to buy, etc. – and keep track of it. From there, it’s relatively simple to group your customers according to their behaviour and preferences. If you segment them properly, you can then use these segments to create personalised communications that speak to your customers’ varying needs. You can start by simply looking at which customers are buying which products. If you’re a garden supplies business and several of your end-users purchase lawnmowers and hoes, for example, grouping them together will give you a ready-made target audience for any special offer or discount that includes both items. If another group of end-users only buys shears and saws at specific times of the year, you can ensure that a promotion is sent out during that season or shortly in advance of it. Segment your customers properly and you can pre-empt their buying decisions. Finally, every database requires occasional spring cleaning. You don’t need the contact details of customers who’ve been lapsed for five years, and you don’t need to know where your current customers lived in 2002. Good data strategies strive for relevance, not omniscience. When you hold on to unnecessary information you’re simultaneously breaching your end-user’s privacy and wasting your internal resources. Routinely scour your databases of all irrelevant or untimely information. When your team works from the best information, it gets the best results. Indeed, vigilance is the key to any first-party data strategy. Your methodology should be an evolving organism: something that reacts to changes in circumstances and strives for constant improvement. There’s much to be said for a ‘less is more’ approach to data: if you remain focused and attentive, you’ll get much better results.